When you join an online casino, you will see a number of payment methods available to you. Most casinos try and have as many payment methods included so they can attract and cater from people all over the world. Certain payment methods for online casinos will be more suitable in some areas of the world over others, so this is why the online casino sites want to provide as many as possible. If you live in Europe you will find some payment methods will be available to you that will not be available to players in other parts of the world. One example of this is PayPal, and although this is one of the most popular online payment options for any online transactions around the world, there are very few countries that can actually use it inside an online casino. Even if you are not based in a country that accepts Paypal you do have other eWallet options open for you to use. eWallets provide a fast and convenient way for people to transfer money online, so it is definitely in the interest of the casinos to provide this for them players. 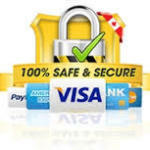 If you can’t use PayPal then you can consider other eWallet options such as Neteller, Click2Pay, Qiwi, ClickandBuy and Skrill/Moneybookers. 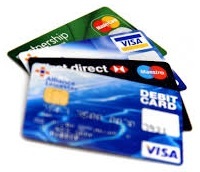 Most people have either or both a credit card and a debit card. If so, then you can simply attach your bank account to your casino account and once it has been verified you will be able to move money between your accounts by using your cards. If you do not have, or you do not want to use either a credit or debit card, then you can always do direct bank transfers. This is very easy to set up, and once you have added your casino account details to your bank account you can complete a transaction at any time you like. Again, this is not an instant method of payment, so even once you have instigated the transfer you will not receive the money in either your casino account, or bank account, depending on which way you are moving the money. There are many services that you can use for this, and these include: eCheck, iDebit, Instant Banking, Trustly, Euteller and GiroPay to name just a few. Another popular method that most online casinos integrate into their systems is the pre-paid voucher system. This is ideal for some players as it does not allow them to run up big debts on their cards or eWallets, as the system requires payment in full first. So although it may not be one of the fastest payment methods for online casinos, it certainly has its place as an option inside any casino account. All of these payment options are available in most of the big online casinos such as Casino Action and Luxury Casino, and will provide one or more options for most players. They are all secure and easy to use, and once you have set them up once you can quickly instigate a payment either to or from your casino account. What Are The Best Casinos That Use PayPal? Are There Any Mobile Casinos That Use PayPal? Do PayPal Casino sites offer sign-up bonuses?